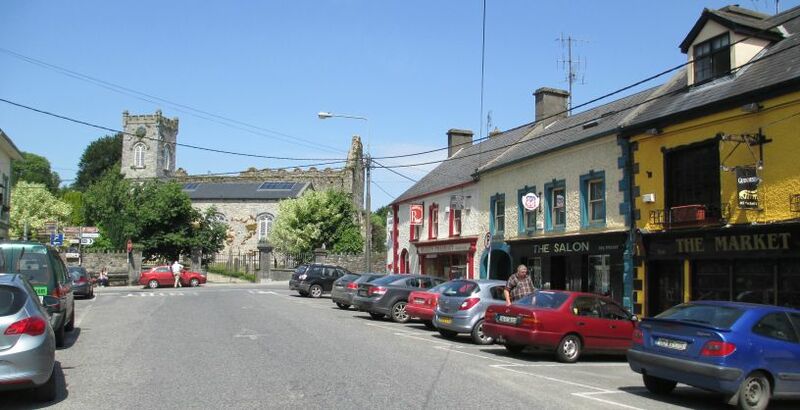 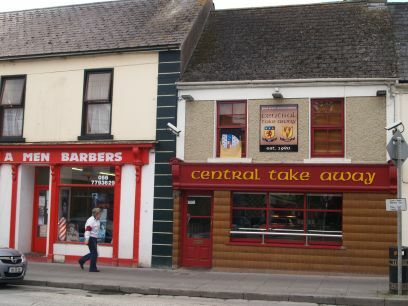 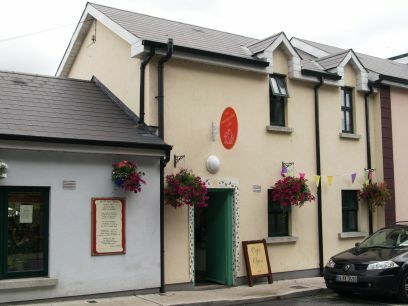 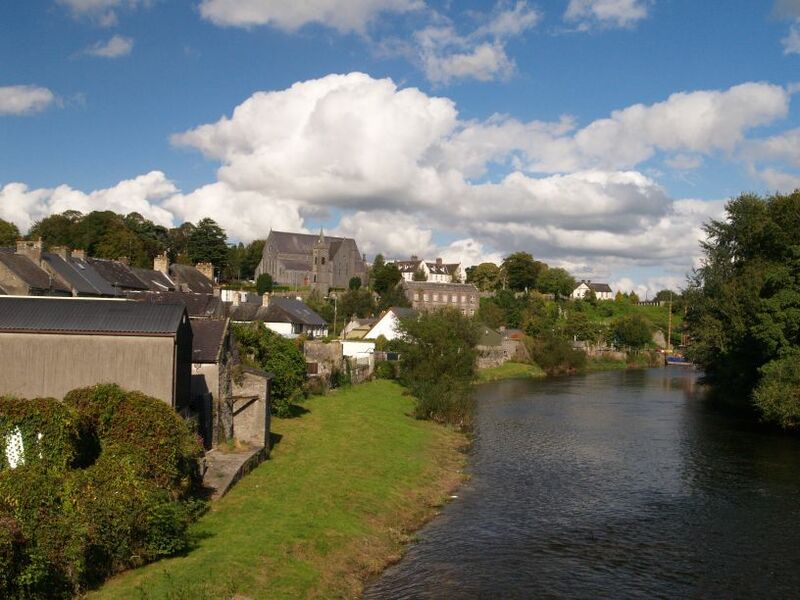 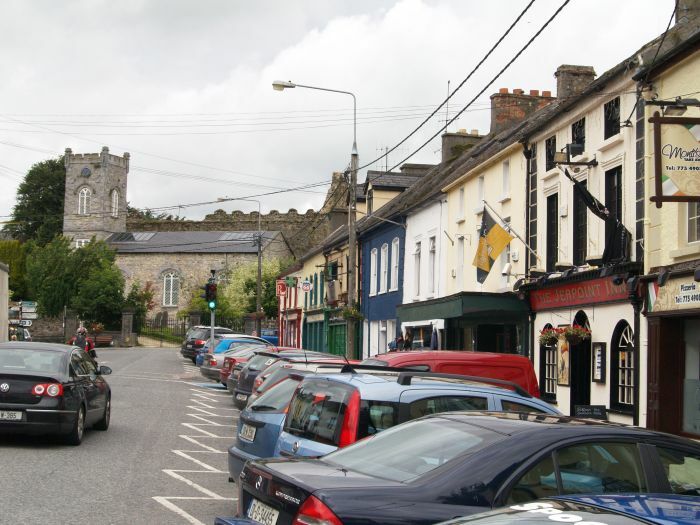 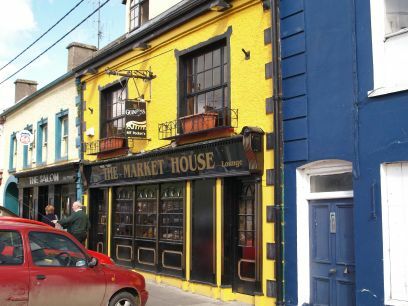 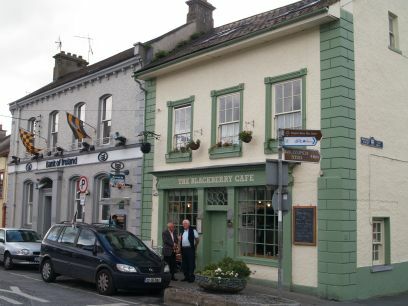 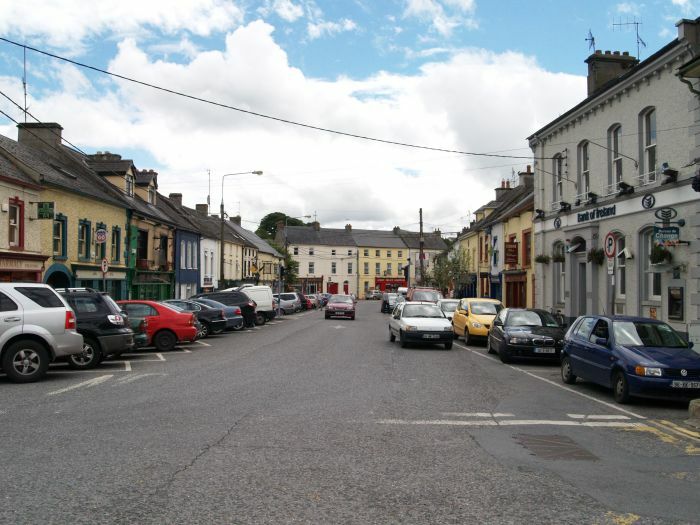 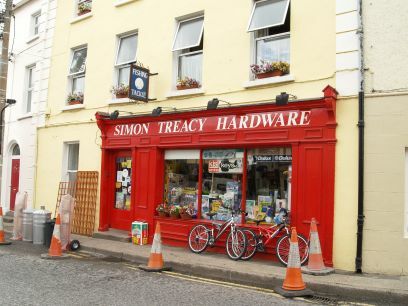 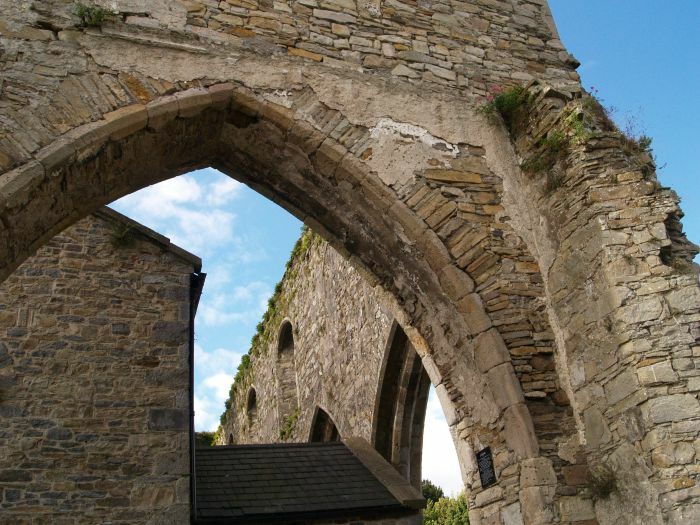 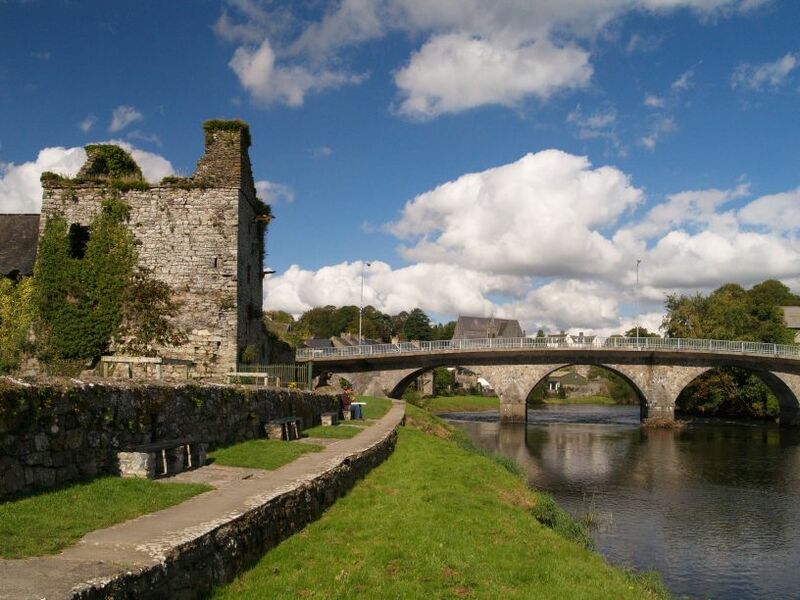 Market Street in the small historic town of Thomastown founded around AD 1200. 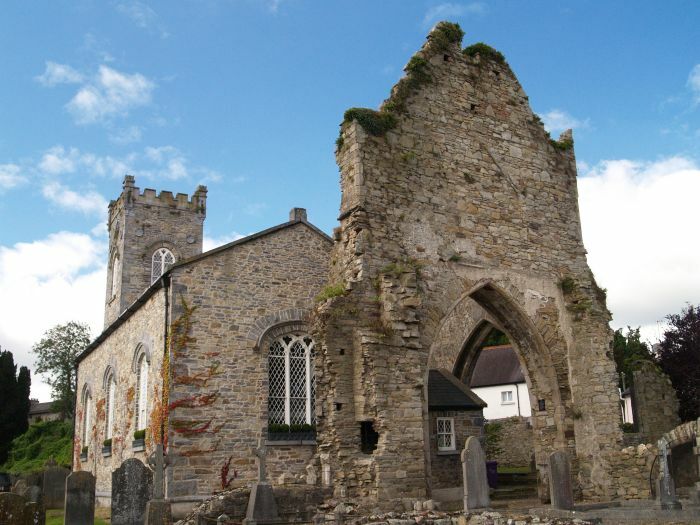 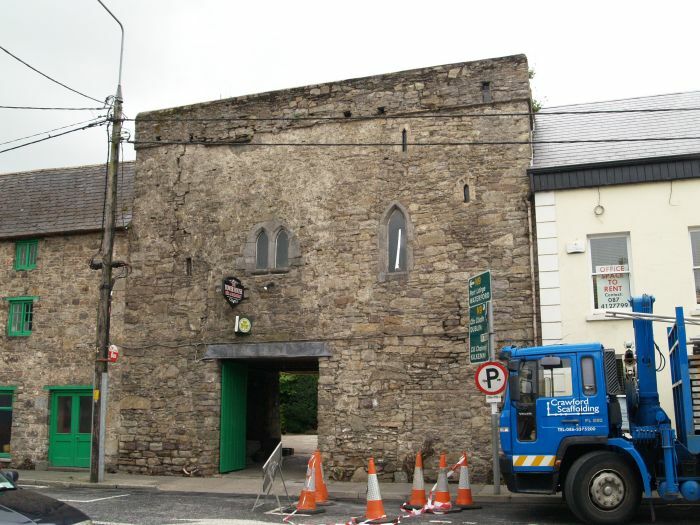 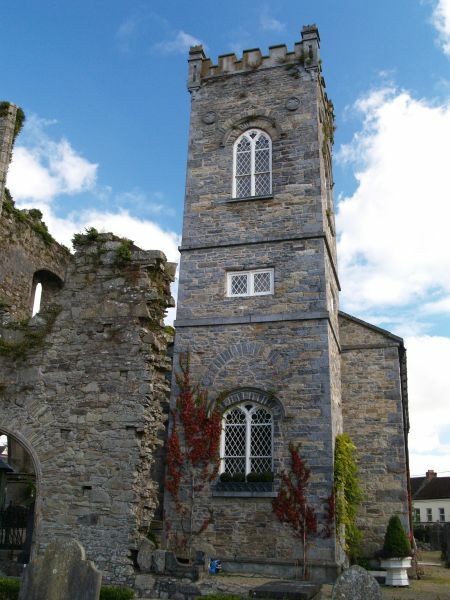 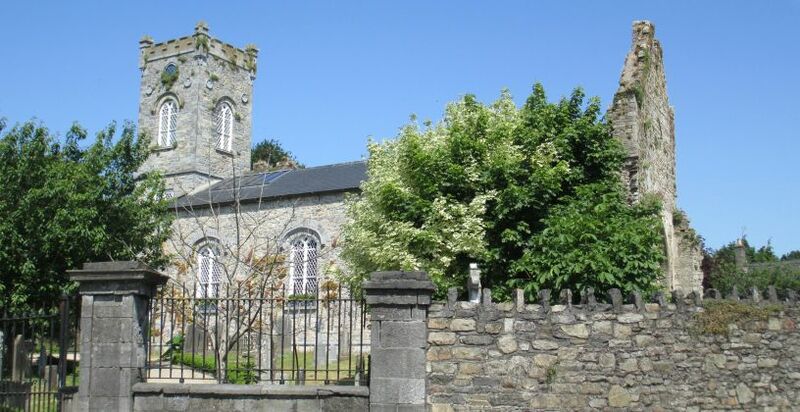 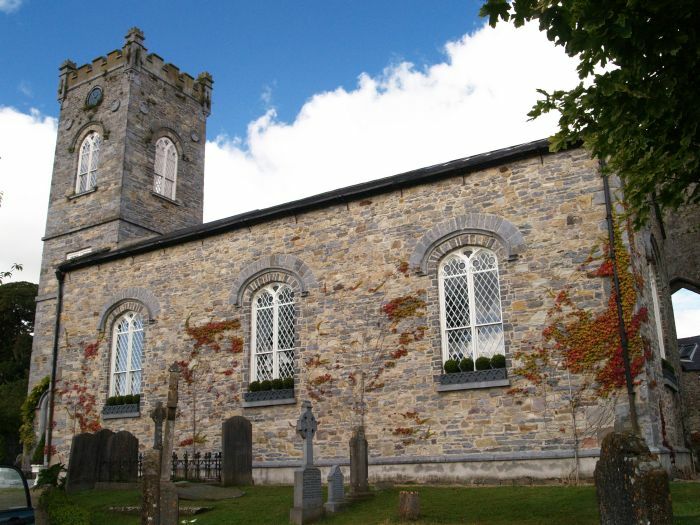 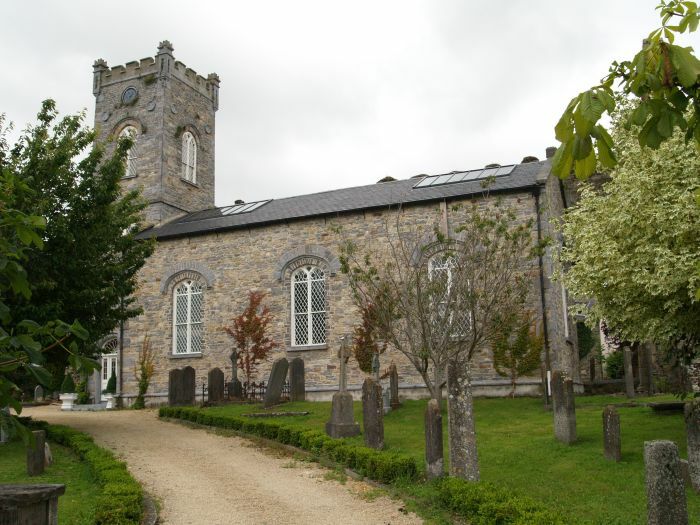 The old Thomastown Church, now a private residence. 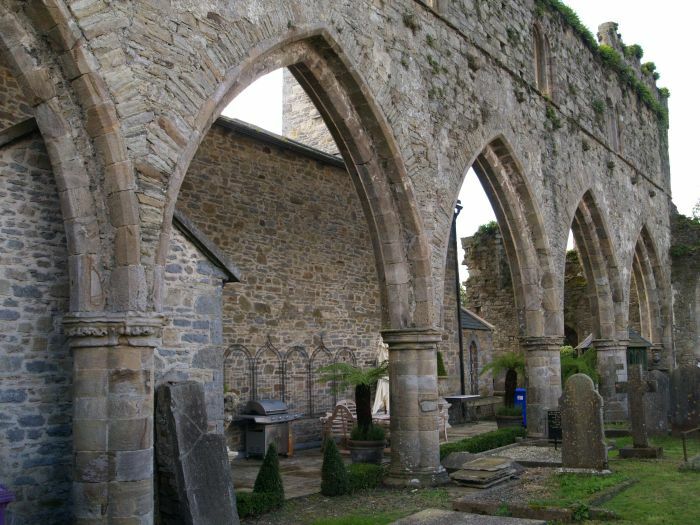 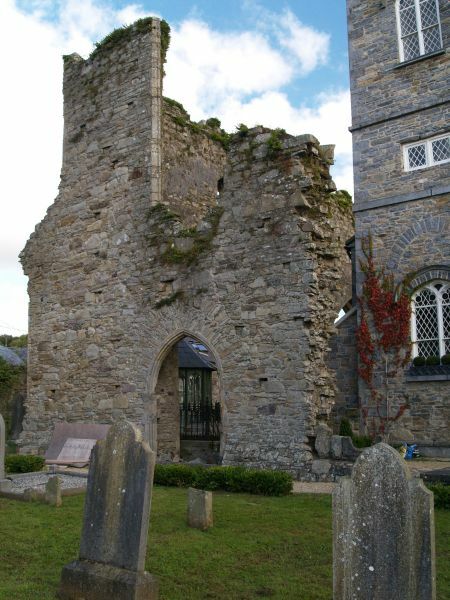 The ruins of a 13th century church. 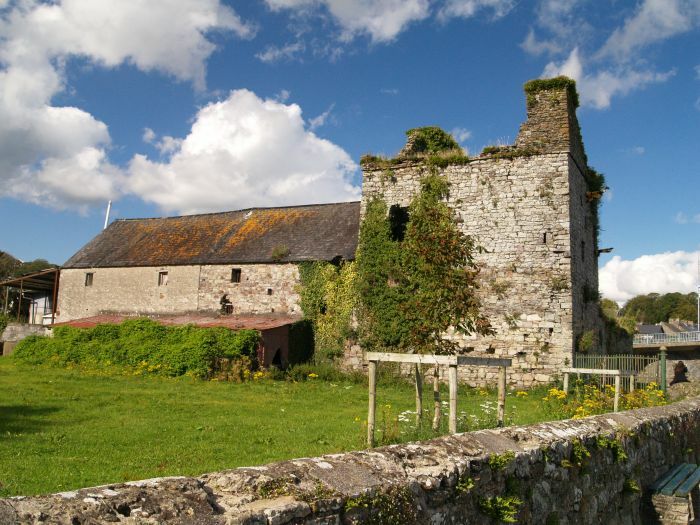 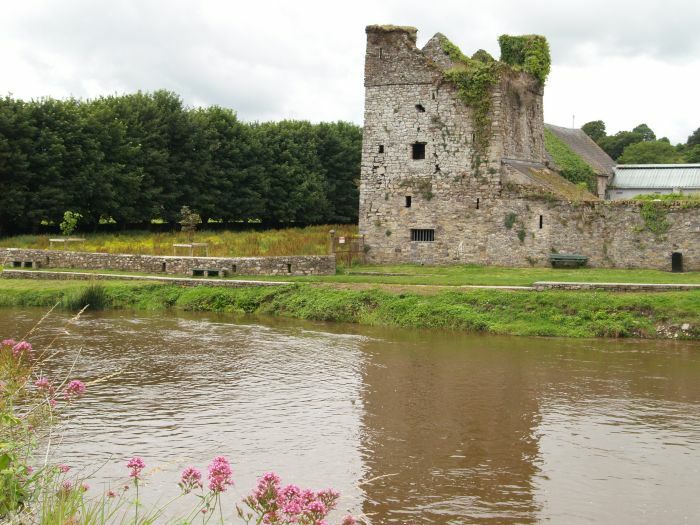 The restored medieval tower known as The Tower House. 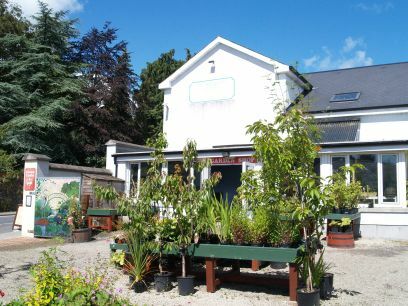 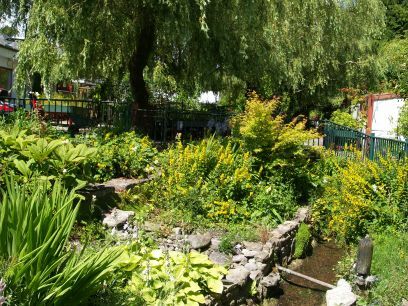 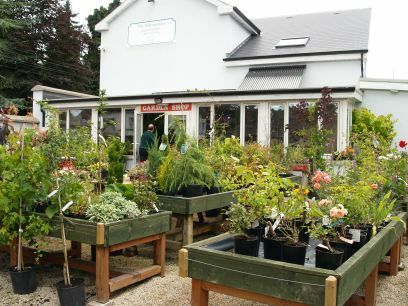 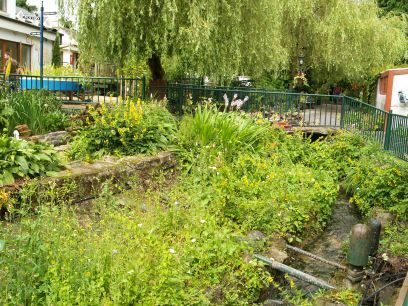 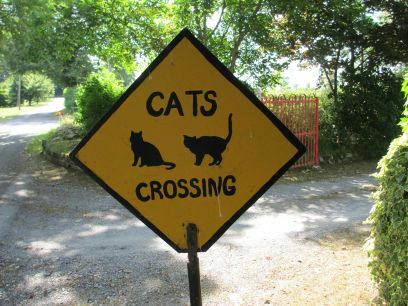 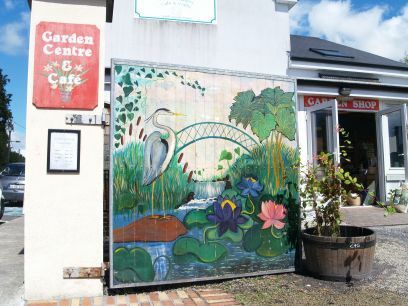 The streamside gardens, garden centre, cafe, crafts shop and gallery. 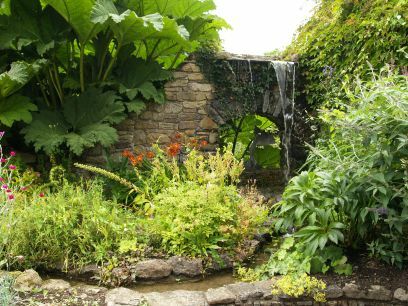 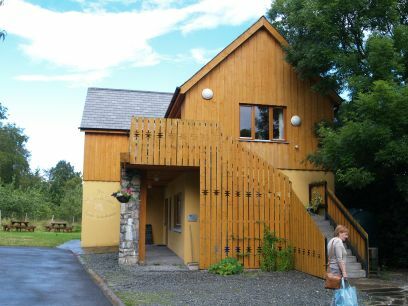 The Watergarden was established by Camphill Communities of Ireland in 1993. 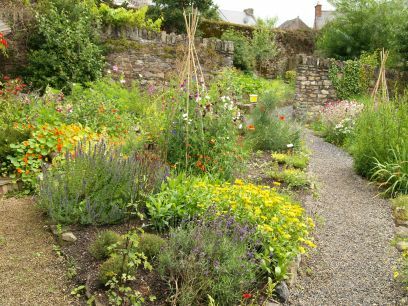 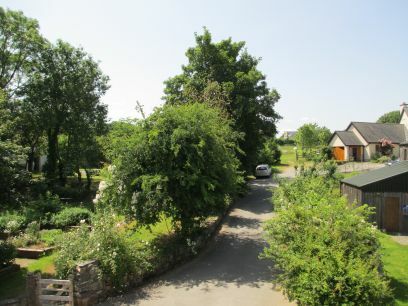 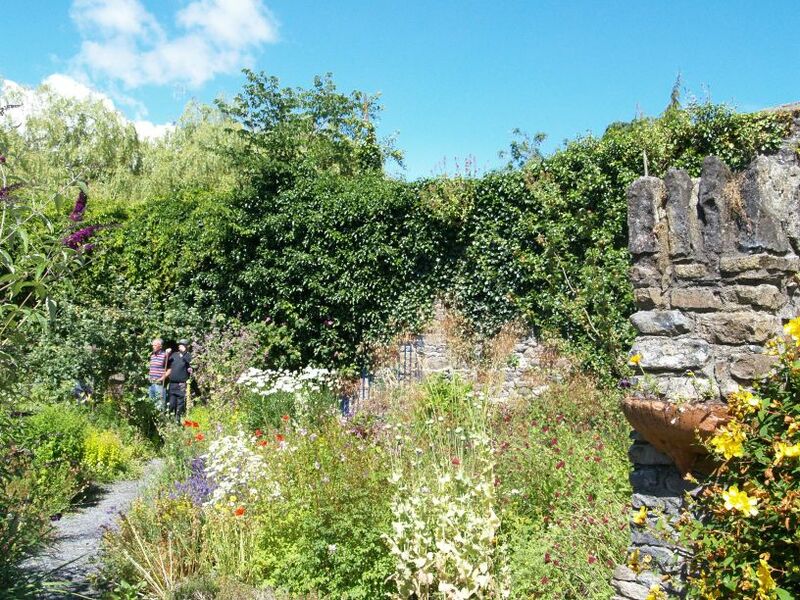 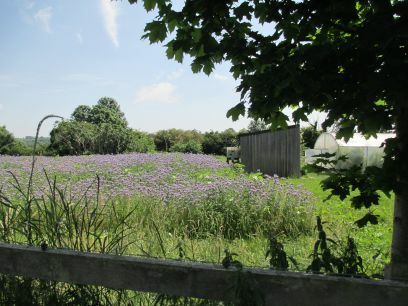 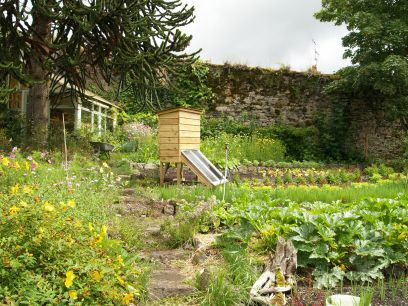 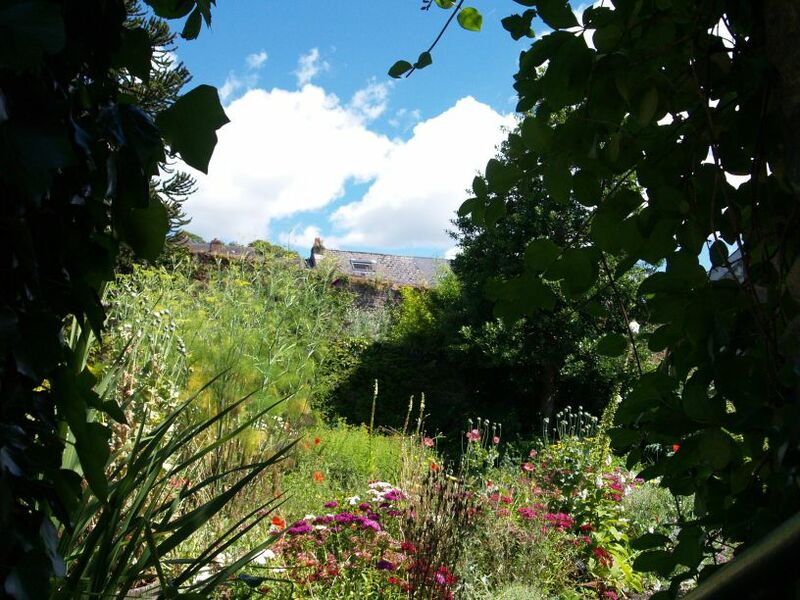 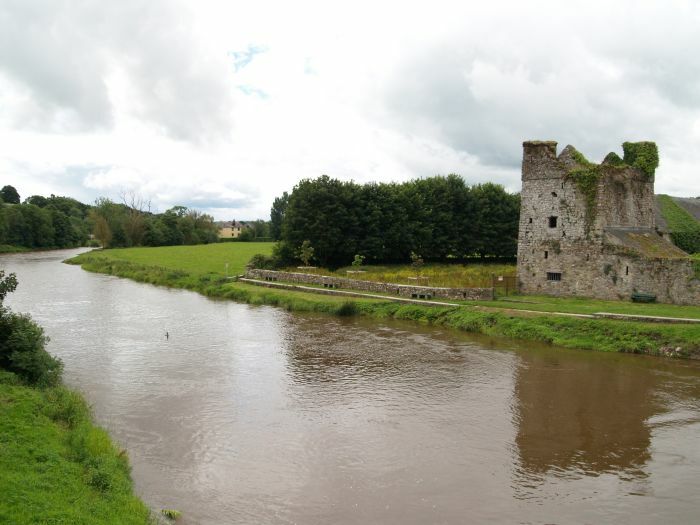 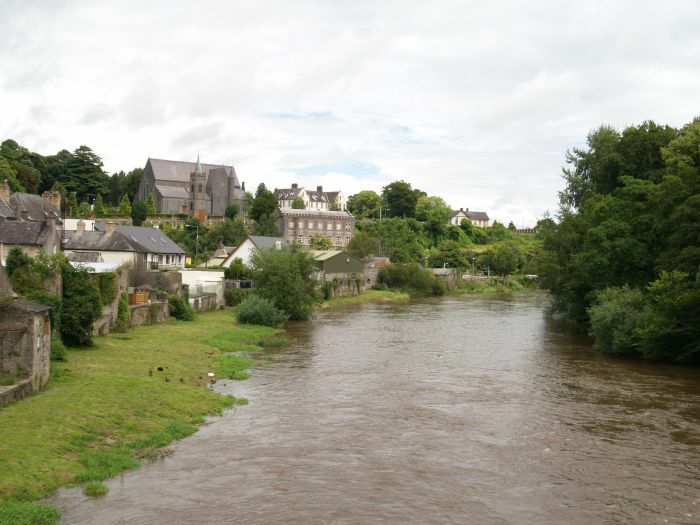 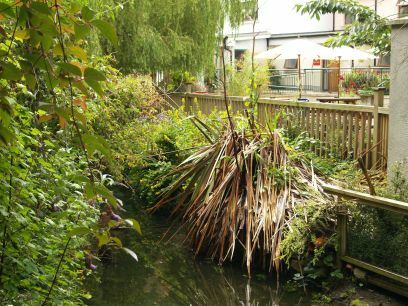 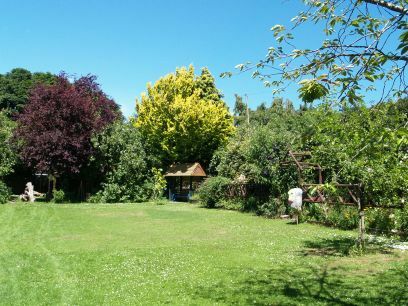 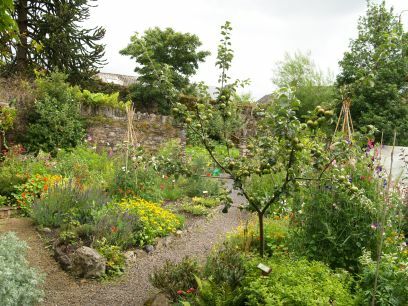 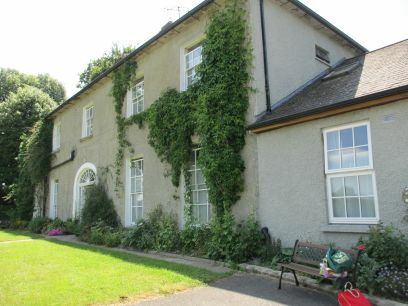 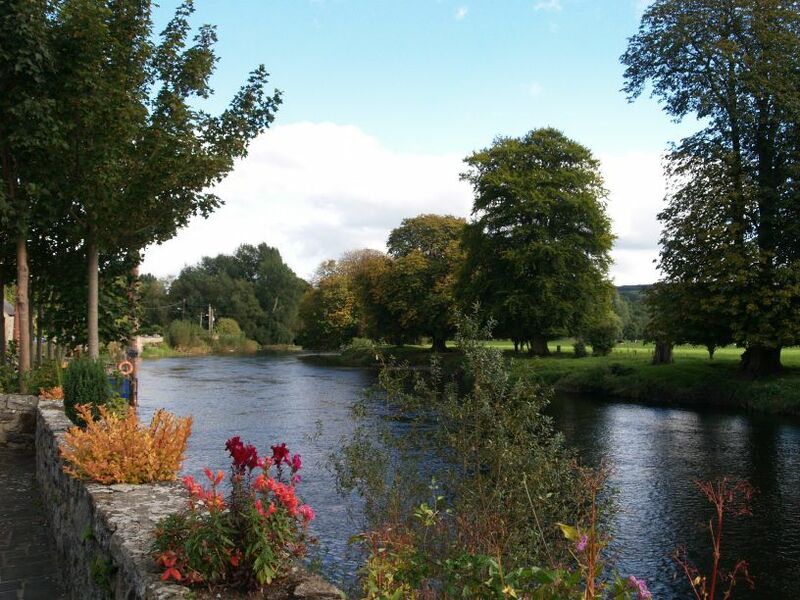 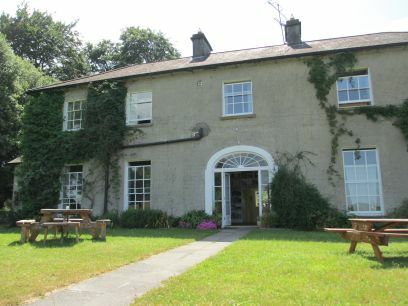 The property had belonged to local tailor Bernard Walsh, who developed the riverside garden as a hobby. 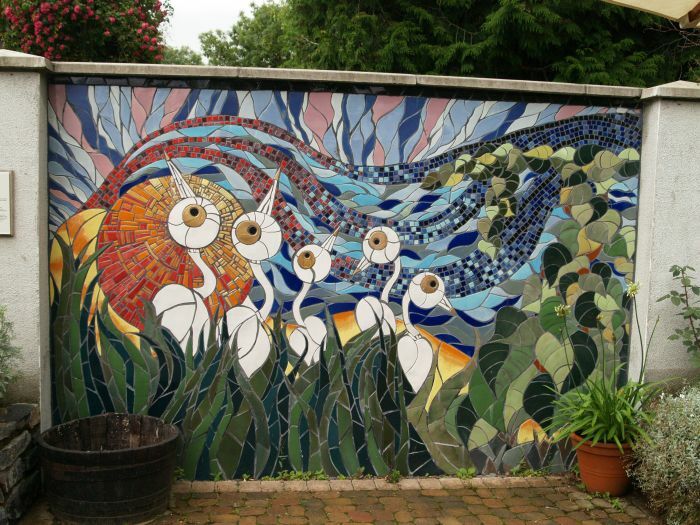 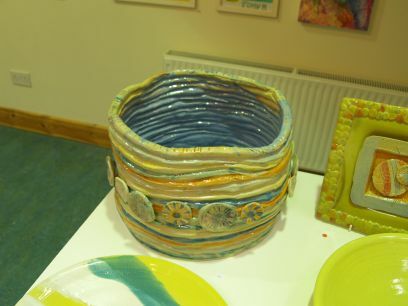 The vibrant colourful mosaic was produced b students of the Craft Council of Ireland's Ceramic Design and Skills course in Thomastown in 2006-2008. 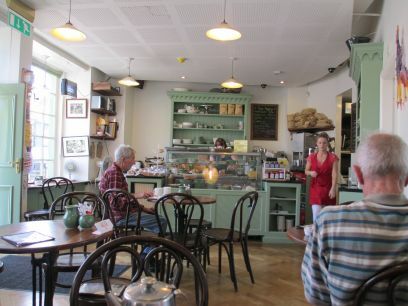 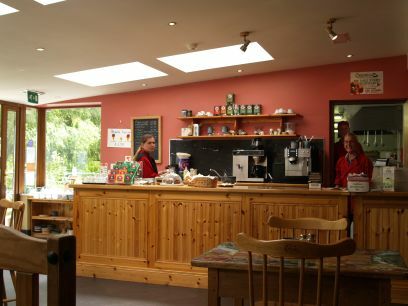 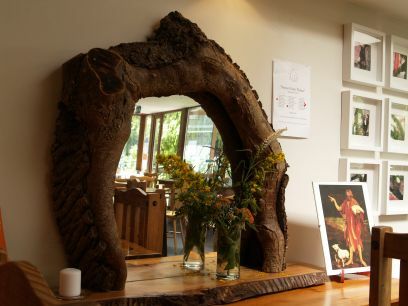 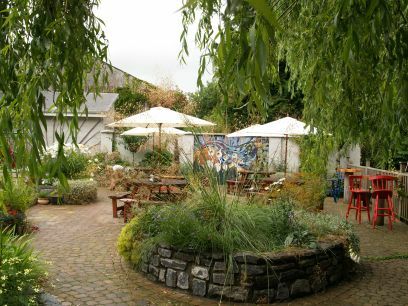 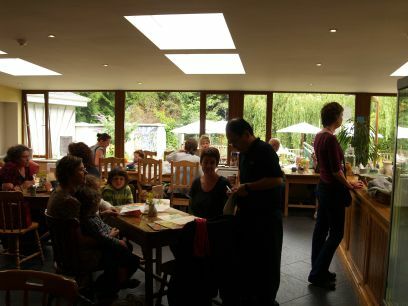 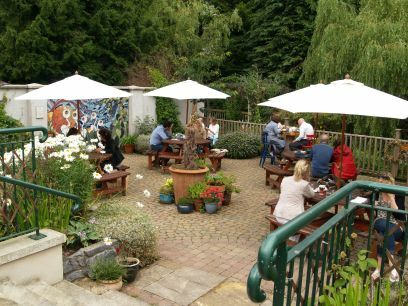 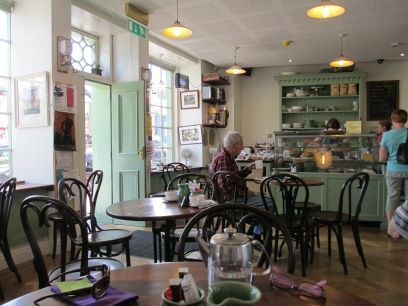 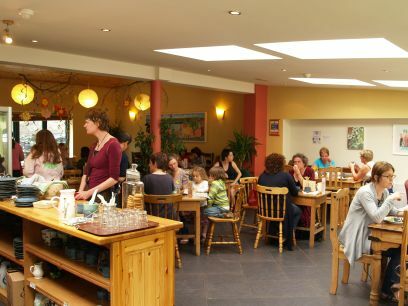 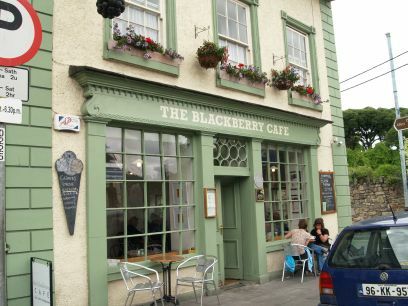 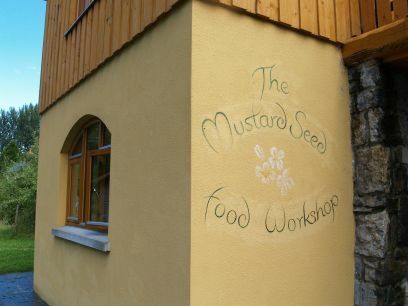 The cafe offers a selection a diverse menu including a selection of light lunches of organic produce and ingredients, salads sourced from their own biodynamic garden, homemade soups and an assortment of freshly baked pastries and desserts. 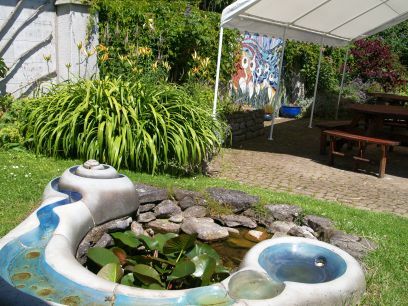 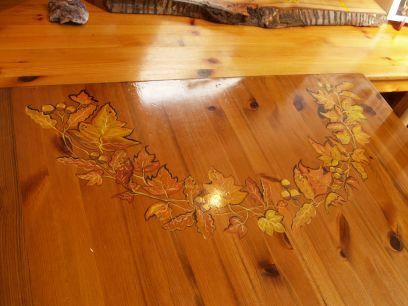 You can eat inside or out by the stream where the tables are laid out near the wonderful mosaic. 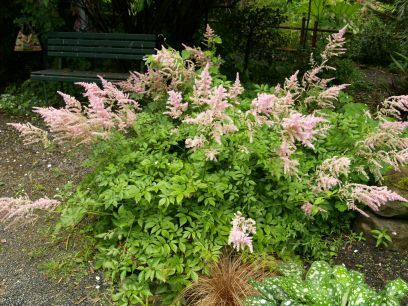 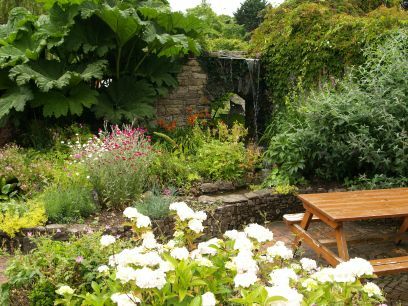 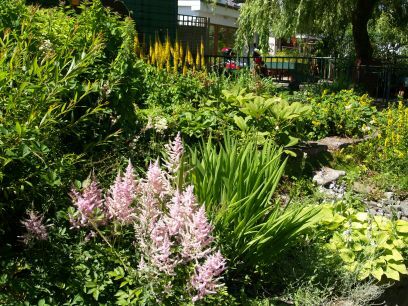 Before, or after a meal, you can take a stroll around the lovely variety of compact sheltered gardens. 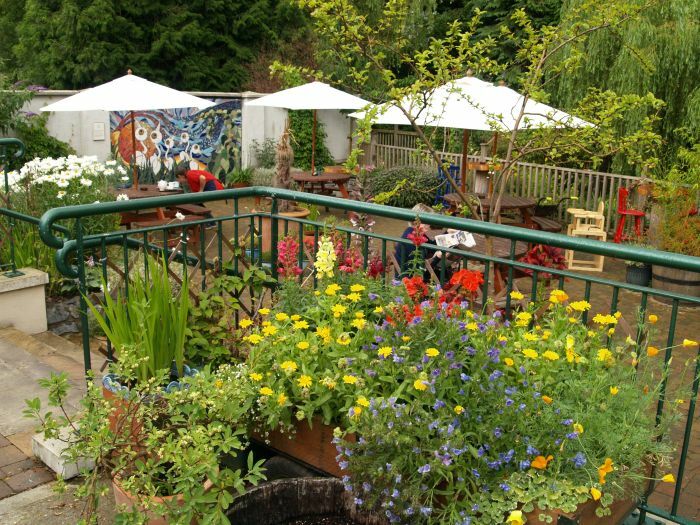 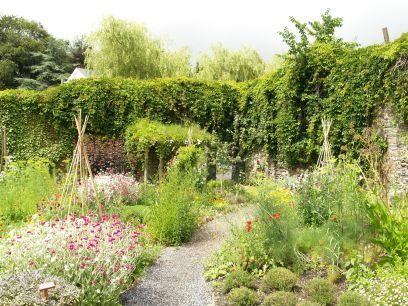 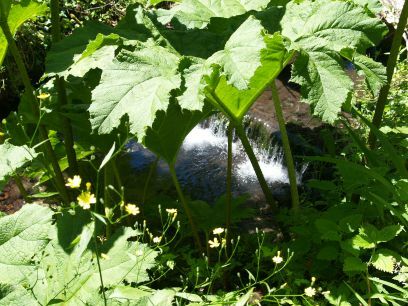 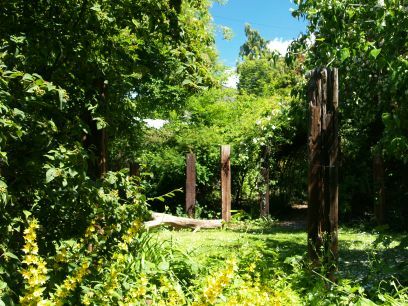 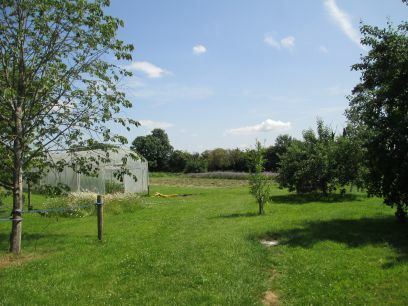 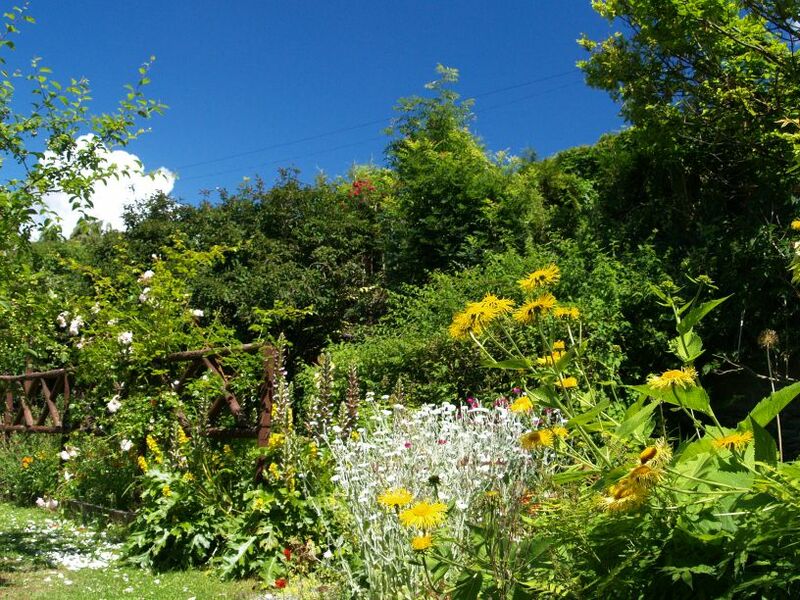 The WATERGARDEN offers training workshops in gardening, catering, pottery and basketry. 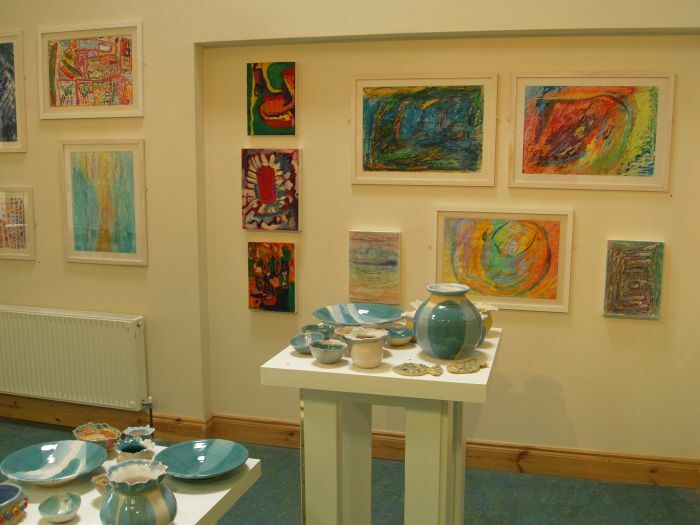 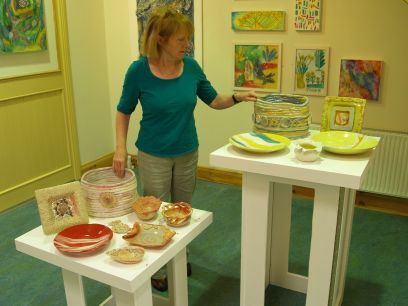 In 2008 the Watergarden Gallery was opened to display their own crafts and that of local artists whose products you can purchase. 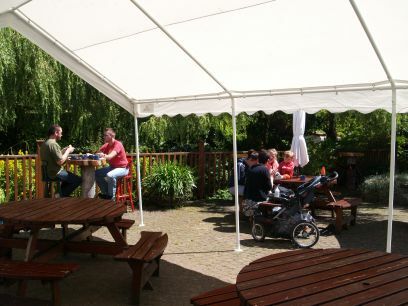 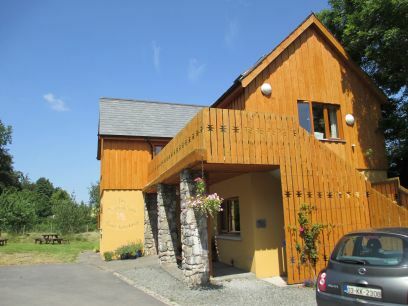 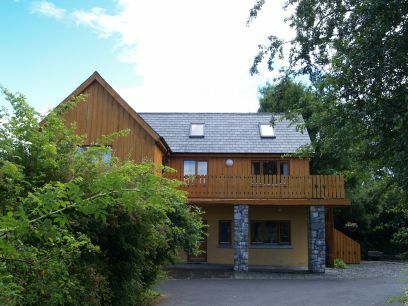 The attractive setting of the Quay, with excellent car parking facilities across the road. 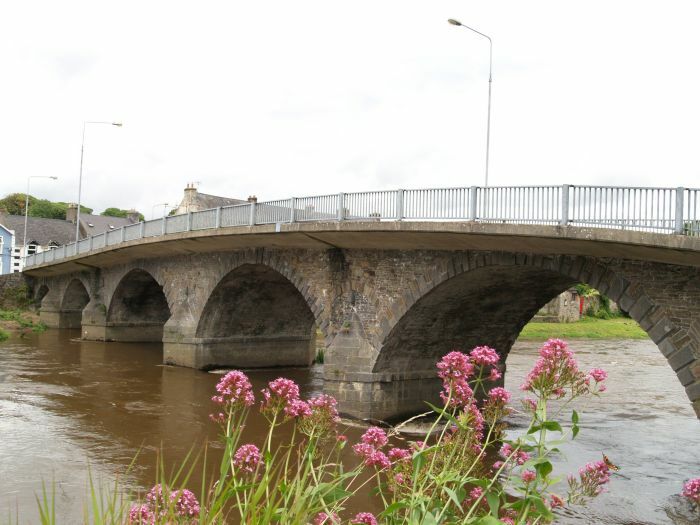 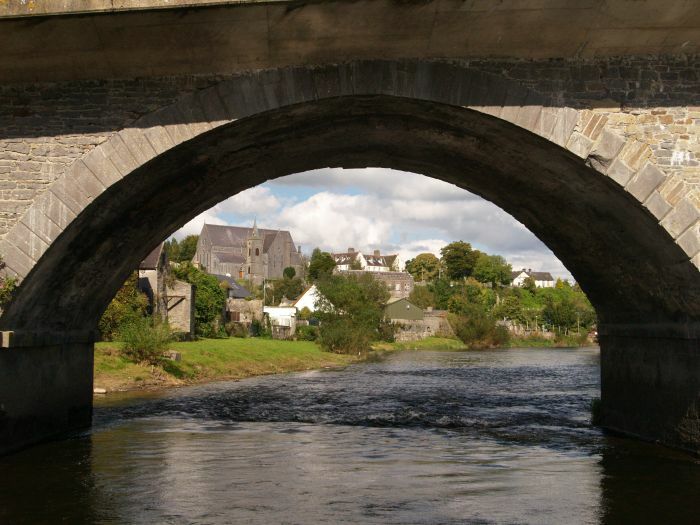 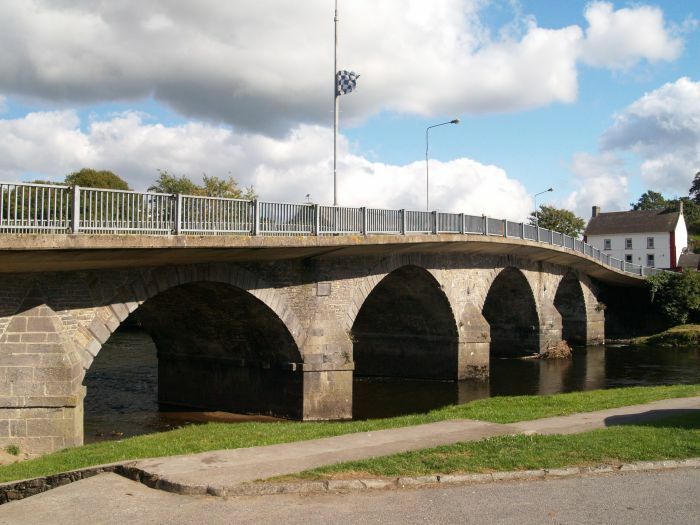 The busy road bridge at Thomastown. 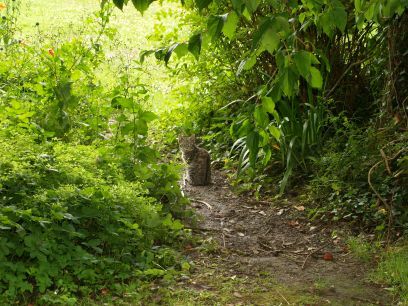 A lovely setting for a stroll and peaceful break. 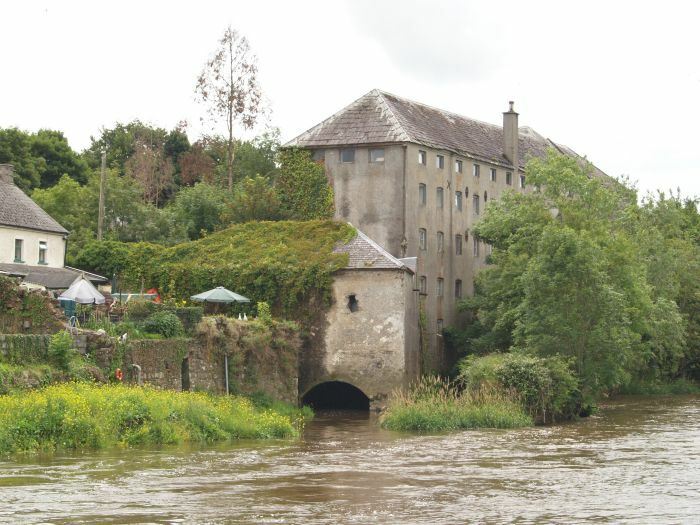 The old mill, with its exit channel from the water wheel still in full flow. 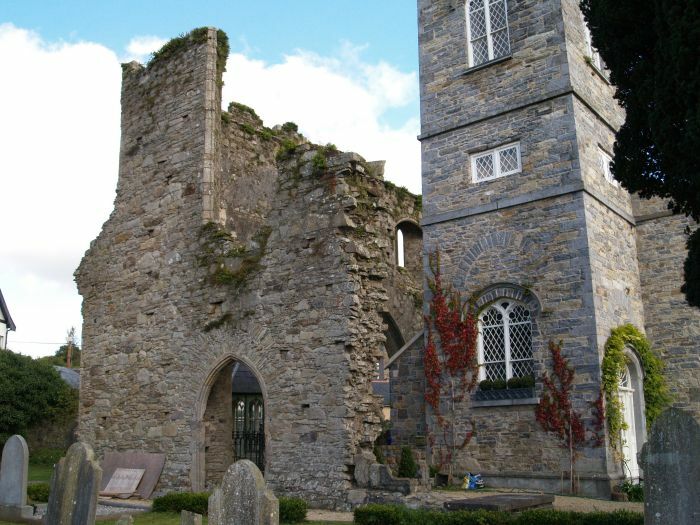 Irish holiday tour docspics photos images pics photographs pictures © Phil Brown * Irish holiday tours, touring in Ireland, top tourist attractions, tourism information, luxury hotels, self-catering holiday cottages, airbnb air b and b air B&B accommodation, historic towns & cities in Ireland archaeological sites, museums, cheap flights, get there by flying of Ferry, Irish Ferries, Stena Line, Ryanair Travel, dining out in Ireland, good food guide to Ireland, top Irish restaurants, Irish coach tours, weekend breaks trips to Ireland docspics images photos of Thomastown, Co. Kilkenny © Phil Brown Tourist information on Thomastown, Co. Kilkenny, Walks near Thomastown, Co. Kilkenny, Having holidays near Thomastown, Co. Kilkenny, Ireland, Top tourist attractions near Thomastown, Co. Kilkenny, luxury hotels near Thomastown, Co. Kilkenny, self-catering holiday cottages near Thomastown, Co. Kilkenny, airbnb air B and B near Thomastown, Co. Kilkenny, good B&B near Thomastown, Co. Kilkenny, friendly pubs near Thomastown, Co. Kilkenny, cafes near Thomastown, Co. Kilkenny, eating out in fine restaurants near Thomastown, Co.